Since the NHL has decided to start its season as early as October this year (what’s up with that?! ), you know what that means: Preview time! 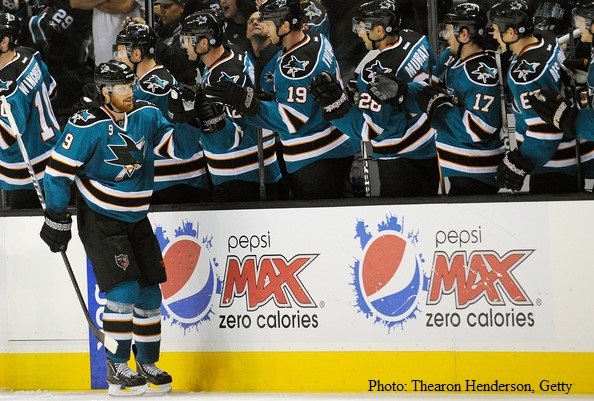 Let’s take a look at the San Jose Sharks for the 2013-14 season in an unconventional way. I mean, you don’t come to PuckBuddys to read the news all conventional-like, now, do you? The crew that puts the ‘do’ in… ‘play hockey’. Well damn, that didn’t work, did it? Anyhow, these are the guys that provide a powerful combination of skill, grit and determination to get a hockey game won, sometimes even when the win isn’t deserved by the team as a whole. 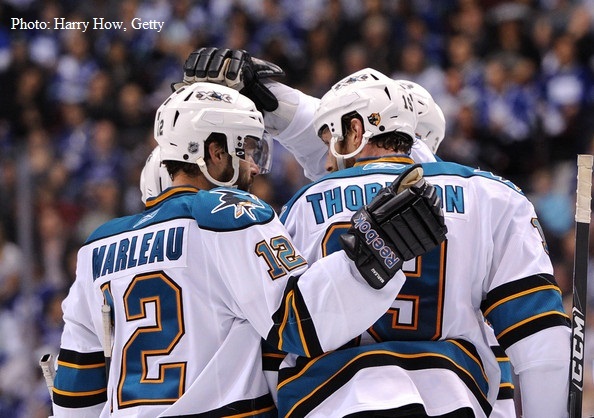 Thornton and Marleau have, in years past, been the main scoring punches for the Sharks, but as they put age 30 increasingly in the distance, it seems reasonable to expect their roles on the team to change from being the offensive threats to more able-bodied veteran and mentor roles on the bench. This crew also includes folks like your trusty stay-at-home defense, as well as a pinch of some grinding forwards, to try to put the opposition on tilt. 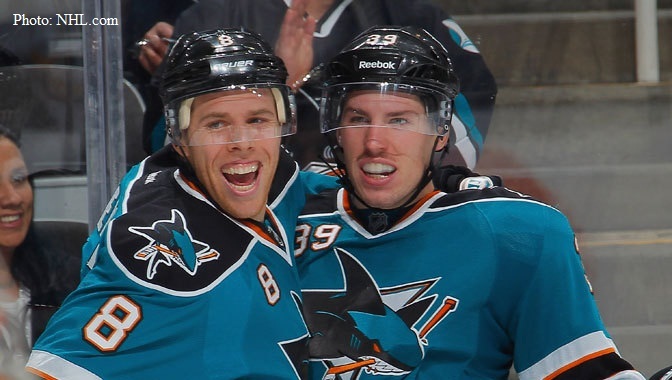 Scoring finesse from Couture and Pavelski are simply cornerstones of the success (or lack thereof) for the Sharks in the upcoming season. Along with Burns, who brings more of a pounding, punishing touch as a forward, these are the players the Sharks will need to step up ever more urgently as the gray hairs emerge for Thornton, Marleau and especially Boyle. Niemi. I mean, he’s the man. Niemi is THE starting goalie. In recent years, San Jose has had the opportunity / problem of having both starting and backup netminders as potentially #1 caliber players, but certainly not right now. The better parking spot goes to Niemi, unquestionably. More after the jump. Poor Marty. I don’t mean to be a total tool about it, I really do want the dude to get better and hope he can contribute! But conventional wisdom in Sharks circles is that Havlat likely would have been shopped this off-season, if only he were healthy enough to be moved. Due to being on IR, however, Havlat and his history of being so inopportunely injury-prone (like, say, during the opening series of the postseason, as in 2013) remain on the Sharks’ roster for the foreseeable future. Havlat is expected to start the season on IR, and we’ll see where that leads. Coach Todd seems to retain the full confidence of Sharks management, as he was awarded a contract extension over the summer. Parts of Sharks Territory are not happy with the results McLellan has managed to oversee, but I think by and large, this is viewed as a good move. Count me in that camp. Because French-Canadian guys. I mean, seriously. If you think he’s an awful hockey player, you’re just mad he’s not on your team. I’m OK with that, and you should be, too. One of the more interesting things about this off-season was following the goalie situation (as in just who is going to back up Antti Niemi). 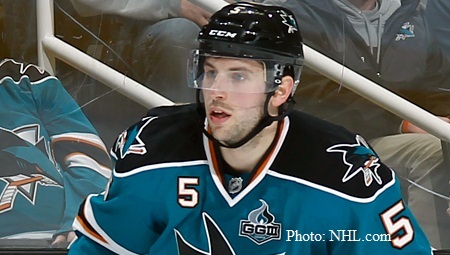 What’s more, per CapGeek, the *only* player currently on the Sharks roster with a two-way contract is Alex Stalock. It seems clear that he and Harri Sateri will be competing against one another for the role of backup netminder for San Jose — which means the only two guys on the roster who can be sent down to the Sharks’ AHL club, at least to start the year, will likely be the two backup goalies. I wouldn’t go so far as to call that a hindrance as far as roster management, but it does suggest there is decidedly *not* going to be a “Worcester Shuttle” as there has been in years past. The Shark Tank remains the Shark Tank, but with new sponsorship on the label! 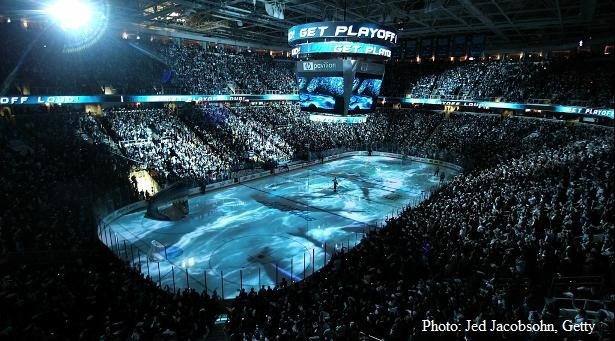 Be sure to dazzle and impress at your next cocktail party with the knowledge that HP Pavilion has been officially renamed SAP Center at San Jose. This entry was posted in San Jose Sharks and tagged Alex Stalock, Antti Niemi, Brad Stuart, Brent Burns, Dan Boyle, Harri Sateri, It will ALWAYS be the Shark Tank, Jason Demers, Joe Pavelski, Joe Thornton, Logan Couture, Marc Edouard-Vlasic, Martin Havlat, Patrick Marleau, Raffi Torres, Scot Hannan, Todd Mc:Lellan, Tommy Wingels. Bookmark the permalink.